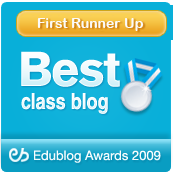 Mrs. Yollis' Classroom Blog: Animal Research! The colorful puffin is an interesting bird that dwells in the cold waters of the Atlantic and Pacific Oceans. Female puffins come ashore to lay ONE egg in the rocky burrow. The little puffling stays protected in the burrow for up to eight weeks. Finally, it ventures out to find some delicious fish to eat. In my opinion, the puffin is practically perfect in every way! Although I was not able to open the books, the story about the Seal Surfer sounded the cutest. I think that it is wonderful that you are sharing stories about wildlife with the class. 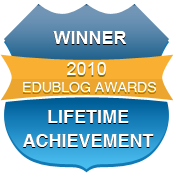 Thanks for visiting our blog and for leaving a quality comment! Learning about animal habitats is part of our reading and science units. Today, we had a wildlife group visit our school and brought several animals for the students to view. It was a real thrill. Good luck with your studies. 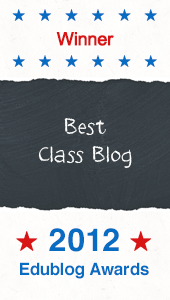 I thoroughly enjoy teaching and it gets better and better each year! P.S. Your teacher, Dr. Strange, has a fantastic blog. He is teaching all of you about the integration and learning available through technology. You're lucky to have such a quality teacher! All of the picture books you have been reading on animals sound great. The one I liked best was about the Puflings. i think Puffins are the most amazing looking birds. I do not know much about them so Susie's information was great . . . Thank you. 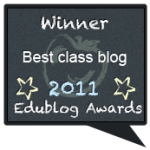 Come visit us in Australia at www.belmoresouthpublicschool.edublogs.org. We don't have puffins but we do have koala bears. In my opinion, I think all of the books we read in this chapter were terrific! The animal I looked up is the horse. The first fact I learned is that horses are willing to obey their owner or trainer under most circumstances. The second fact I found is that there are about 150 different types of breeds. Lastly, horses have a good sense of smell, they have keen eyes, sharp ears, and they have strong teeth. Did you know any of these facts? I looked up anaconda snakes in the World Book Encyclopedia. Some anacondas grow up to thirty feet and weigh almost 450 pounds. They kill their prey by wrapping their coils around them to stop them from breathing. I wouldn't want to meet an anaconda. My dad once fed a deer dry orange peelings. He saw him up close. I was not in 3rd grade, But I wish I was. 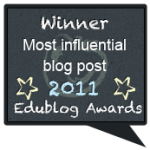 Thanks for visiting our blog all the way from Australia! You mentioned that you liked the story about the puffins. 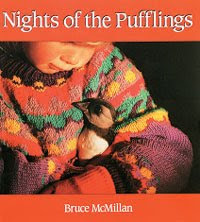 It was a great non-fiction story about how these little pufflings are born and when they try to fly out to sea, some of them get confused by the village lights and land in the city. The Icelandic children rescue the puffins and return them to the sea. The birds are colorful and are even referred to as the clowns of the sea We don't have them near us. They are found much farther north. Thanks for leaving a link to your blog. We'll check it out! Thanks for leading the class with your great post about horses. You are becoming one of the top commenters! I had no idea that there were 150 different breeds! Do you have a favorite breed? I like the mustangs. I agree with you...I would NOT want to meet an anaconda! With a weigh of around 450 pounds, it could kill you in no time. They call this type of snake a constrictor. They squeeze their prey until they asphyxiate it. That means it stops breathing. Again, I would not want to meet an anaconda! Where was the deer that your father feed? I saw a deer in my neighborhood one time. He was running down the middle of the street. I was worried because I didn't want him to get hit by a car. Luckily, he ran up a hill and into the brush. I liked Seal Surfer too. Wouldn't it be fun to have that kind of a friend? Killer whales are quite beautiful. I had no idea that killer whales have a lifespan of 30 years for males and 50 to 90 for females. I wonder why the females live so much longer? The orcas, as they are sometimes called, are found in every ocean. Wow! Thanks for a super comment! Hi! My name is Lauren Walker and I am in class EDM 310. Here is my blog if you would like to check it out,http://walkerlaurenedm310.blogspot.com/. I really enjoyed reading all of your post. The wildlife idea is a great one with the kids. 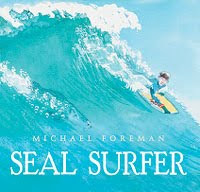 My favorite book that we read in the animal habitat was Seal Surfer. Sear Surfer is my favorite because I like how Ben and the seal are such good friends. For example, the seal saved Ben's life, and Ben made sure that the seal did not starve (by feeding the seal). 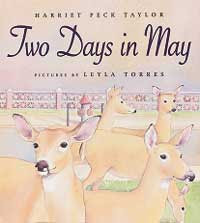 What was your favorite animal habitat book? If I were the author making a the same kind of book I would make a different title. I would make a different title because I would be taking their idea and making it my own. Would you make it the same or would you change it? Thanks for commenting back to me, and thanks for saying it was a super comment. What is your favorite part about orcas? I looked up the Chocolate Lab, but I couldn't find it because Lab is actually short for Labrador Retriever. There are three kinds of Labs: black, yellow, and chocolate. Two facts about the Lab are that their tail is short and thick, and their coat (fur) is water-proof and thick too. Labradors come from Newfoundland. I looked up Newfoundland and it is Canada's newest province. A province is like a state. I looked up one thing and found out about three.